Mona Sabet is a technology sector deal maker, an entrepreneur, a diversity advocate, and a community builder. 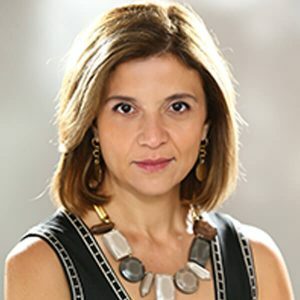 With two decades of experience in the tech sector both as a corporate executive and an entrepreneur, Mona brings her expertise in corporate development, acquisitions, integrations, and technology to every team she works with. She has negotiated hundreds of technology deals and nearly 50 acquisitions. Mona is the Managing Director of Tribal Advisors. Tribal helps tech companies develop and implement their business with a view to maximizing their exit opportunities. Prior to Tribal, Mona’s experience includes being on the buy side of start-ups, including Cadence Design Systems, Coverity and others. As Corporate Vice President, Business Development at Cadence, she led all mergers and acquisitions, strategic technology transactions and venture investments, delivering tens of millions of dollars in incremental revenue. She also led the definition of the company’s acquisition and partnership strategy, enabling Cadence to expand into adjacent growth markets. Mona is actively involved in a number of non-profits focused on improving diversity in the workplace. She co-founded Leading Women in Technology, which has been working for over a decade to help women in the tech sector accelerate their careers. She is on the Board of ChIPs Network, an organization dedicated to advancing women working at the intersection of law, technology and policy. Mona led the strategy and implementation that took The Grace Hopper Celebration, the largest annual convention of women technologist in the world, from 8000 to 15,000 attendees in 2 years. Mona is also the founder and a member of Hipower, a group of women leaders accelerating one another’s leadership from professional success to wide-ranging significance.